Price for ADULTS: $50.00 | STUDENTS: $40.00. Tour includes: 6 bridges | Guide. 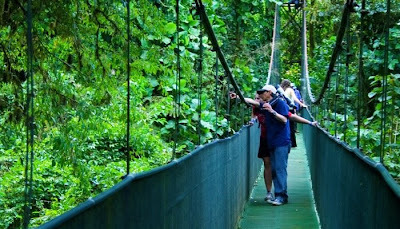 Sky Walk; The cloud forest from a different perspective, enjoy this guided tour where you will learn al about the flora and fauna of the area walking trough and over the treetops. Tour with guide only at 8:00 a.m. and 1:30 p.m.
Price of SKY WALK with GUIDE: ADULTS: $30, for STUDENTS: $24, CHILDREN: $19. SKY TRAM + SKY WALK: ADULTS: $50, STUDENTS: $40, CHILDREN: $26. I took the guided hike with Nestor. Nestor is very knowledgeable about the rain forest, its plants and animals. 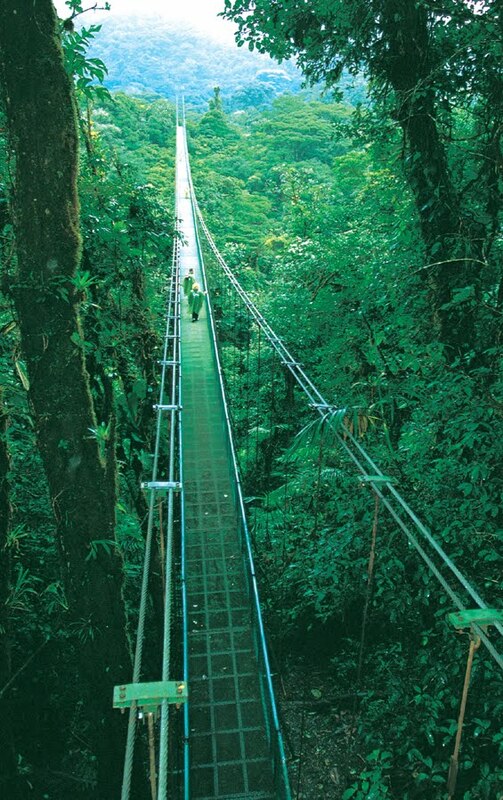 This is a great alternative to the longer hanging bridges hikes that are available. I had a great time and would recommend it. You won't be disappointed.